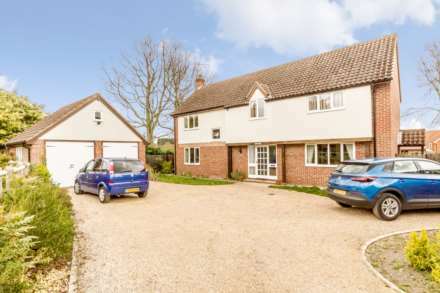 Situated in the popular Heathlands area of Swaffham. Longsons are delighted to bring to the market this modern spacious two bedroom semi detached property, the property boasts two reception rooms, generous conservatory, garage space with main garage door replaced with windows, gardens, parking, gas central heating and UPVC double glazing. Offered for sale CHAIN FREE! The property offers lounge, dining room, kitchen, conservatory, two bedrooms, bathroom, converted garage, gardens, parking, gas central heating and UPVC double glazing. Kings Lynn approx 15 miles, Downham Market approx 15 miles, Norwich approx 30 miles. Swaffham is a popular Norfolk market town with a good selection of shops, pubs and restaurants, social clubs, sports clubs and a popular 18 hole golf club. The town is well catered for with a Waitrose and other supermarkets, an excellent Saturday market, three doctors surgeries, free parking throughout the town and also primary, secondary and higher schools. 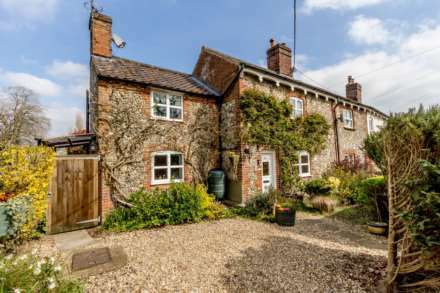 There is easy access to the A47 with Kings Lynn approx 15 miles, Downham Market approx 15 miles and approx 30 miles to the city of Norwich, all of which have rail links to London. Swaffham has an excellent bus service to local villages and surrounding towns and cities. UPVC entrance door to front, stairs to first floor, cupboard housing electric meter and gas meter, UPVC double glazed window to front, radiator. UPVC patio doors opening to conservatory, wood effect laminate to floor, radiator. Fitted kitchen units to wall and floor, work surface over, enamel one and half bowl sink unit with mixer tap and drainer, integral electric oven with gas hob and extractor hood over, space and plumbing for dishwasher, UPVC double glazed entrance door opening to rear garden, UPVC double glazed window looking out to rear garden, tiled splashback, tiles to floor. UPVC double glazed conservatory with pitched glass roof, french doors opening to rear garden, electric light and power, wall mounted electric heater. Built in cupboard housing hot water cylinder, UPVC double glazed window to front, radiator. Single garage, main garage door to the front has been removed and replaced with windows, modern fitted kitchen units to wall and floor, space and plumbing for a washing machine, entrance door to the side. Front garden laid to lawn, driveway laid to block pavia, path to front door, shrubs to borders, gated access to rear garden. Laid to lawn, wooden decked seating area, raised terraced area to rear of garden with wooden garden shed and vegetable grow area, shrubs and plants to borders, wooden fence to perimeter, gated access to front.